At Eventkars, Mumbai they realized the value of your time. Most likely your daily schedule can’t afford another moment. For this reason, they at Eventkars have created unique packages. These packages are completely designed with you in mind. Their inclusive packages have been carefully constructed to accommodate your every need. You choose from numerous options to create your unique event. Eventkars creates the event of your dreams with attention to detail, complete and stress-free planning. Their package prices are designed to make it easier to envision the entire cost of the event, with amounts that will fit almost any budget. Their planner stays with you throughout the event until the end of your big day, giving you the best of comfort level and to ensure that everything is as committed and planned as you wished. They work with their clients to understand their ethos and the message they wish to communicate. They provide an unexpected, creative and individual event solution. Their event team will manage everything from A to Z. They ensure that they are able to provide you with one point of contact who will oversee the logistical management and work with you every step of the way. They provide a complete package for Wedding, Birthday parties, Anniversary celebrations, Corporate parties, Live events, Picnics, Adventure camp and many more. Eventkars, Mumbai provides services like catering, videography, photography, music system (D.J. ), lights, backdrops, decorations, comperes (M.C. ), invitation, transportation, takeaways & party gifts, live performances, magic shows, tattoo artist and juggling shows. Eventkars is a wedding planner based out of Mumbai . Eventkars's telephone number is 76-66-77-88-99, Facebook page is Eventkars and address is Vakola, Santacruz East. 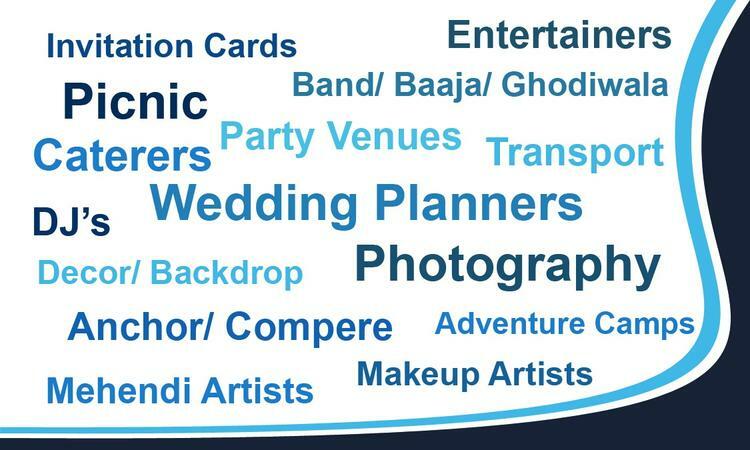 In terms of pricing Eventkars offers various packages starting at Rs 350000/-. There are 0 albums here at Weddingz -- suggest you have a look. Call weddingz.in to book Eventkars at guaranteed prices and with peace of mind.